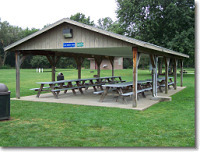 Plain Township Parks and Recreation Department has three outdoor shelters available for public use. 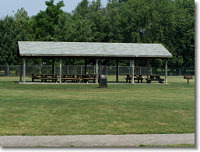 The shelter at Diamond Community Park is available on a first come first serve basis. 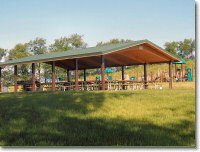 Alpine Park North and South Shelters and Veterans Community Park Shelter rentals require a non-refundable administrative fee of $10.00 as well as any additional per hour rental fee(s) which must be paid in advance to secure reservations. The rental fee for Plain Township residents is $10.00 per hour. The rental fee for non-residents is $15.00 per hour.